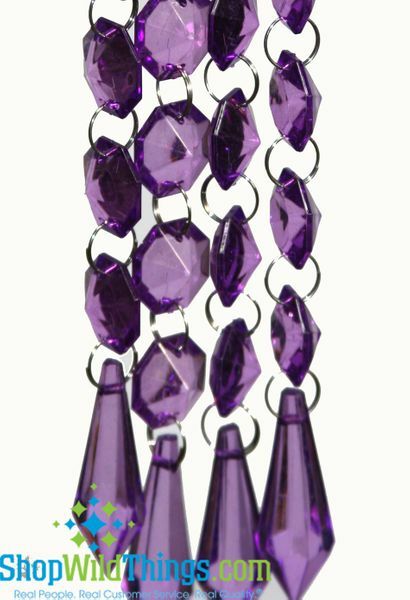 Each Purple round bead is faceted all the way around so that it catches the light very nicely. The jump rings that attach one bead to the next are silver. Beautiful for wedding candelabra center prices! 10 stars!! !